Today (11th May 2014) as I tuned FM ~ the RJ screamed ‘Annaiyar Thinam’ (Mother's Day) ~ a celebration honouring mothers and motherhood, maternal bonds, and the influence of mothers in society. Today, many friends have posted their mother’s photo on FB and other social media too. Somehow I am averse to these ‘Day celebrations’ – thinking to be not native to our culture .... in our culture, we take care of our parents, fall at their feet and take their blessing on all important days – and deem it our bounded duty to be with them and take care of them – then where is the need for a special day !!. Life on fast lane ever since office shifted to Karapakkam – now much time spent on travel too... one of the bright spots has been ‘bird watching’ (the winged ones of ‘class aves’) - me or most of my friends can seldom distinguish a flamingo or other migratory birds such as avocets, black-winged stilts, coots and pin-tailed ducks .... which reportedly are sighted in the marshlands of Pallikaranai abutting OMR – the IT corridor which has lane of ever fast moving vehicles, bustling traffic and some gory accidents too. 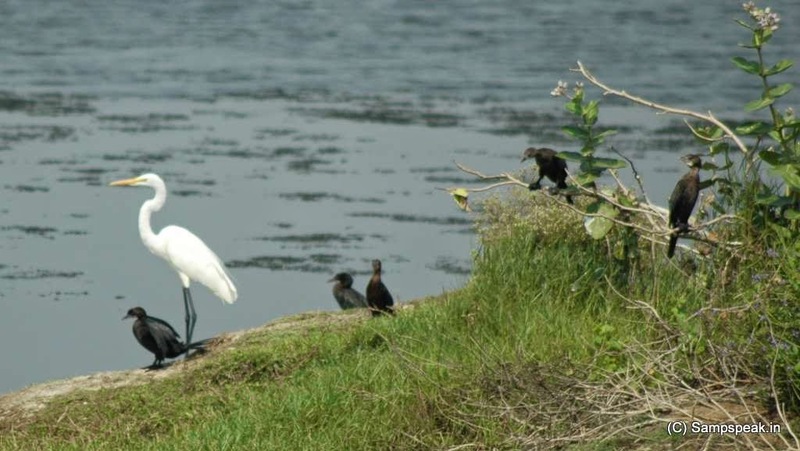 The only surviving wetland in the city, Pallikarnai is a natural freshwater swamp, but today it has largely shrunk owing to toxic waste being dumped along the way and real estate development around it. 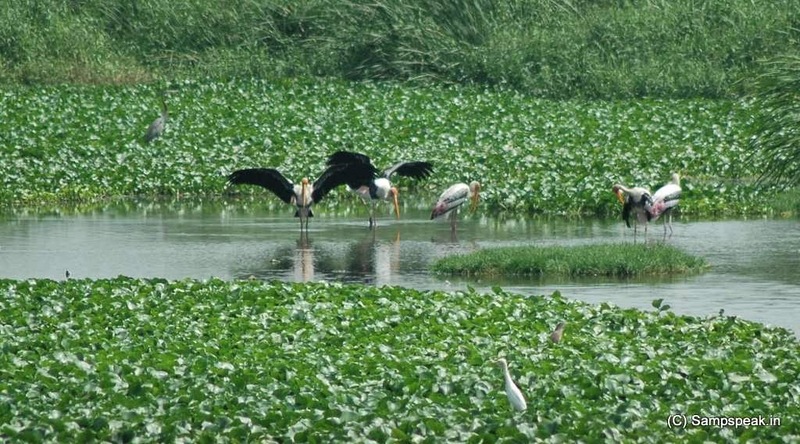 Pallikarnai marshland, the centre of IT is barely 20 km from the city centre, still are home to over 100 species of birds, most of which flock here during the migratory period and also breed here. 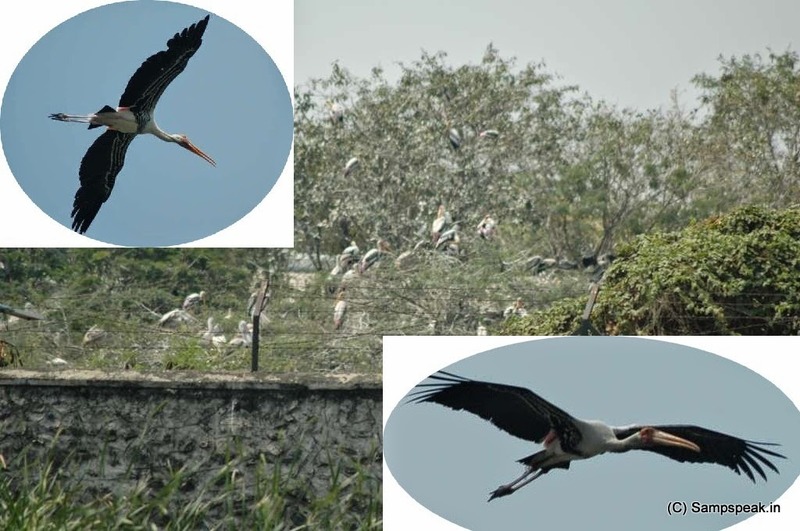 From our Office – we are able to see lot of birds – the winged ones of ‘class aves’…………… perhaps there are Pelicans, the large water birds characterised by a long beak and large throat pouch used in catching prey and draining water from the scooped up contents before swallowing. Some birds often stand on one leg, the other leg tucked beneath the body. The reason for this behavior is not fully understood. Storks, the large, long-legged, long-necked wading birds with long, stout bills. Cranes which unlike the similar-looking but unrelated herons, fly with necks outstretched, not pulled back. 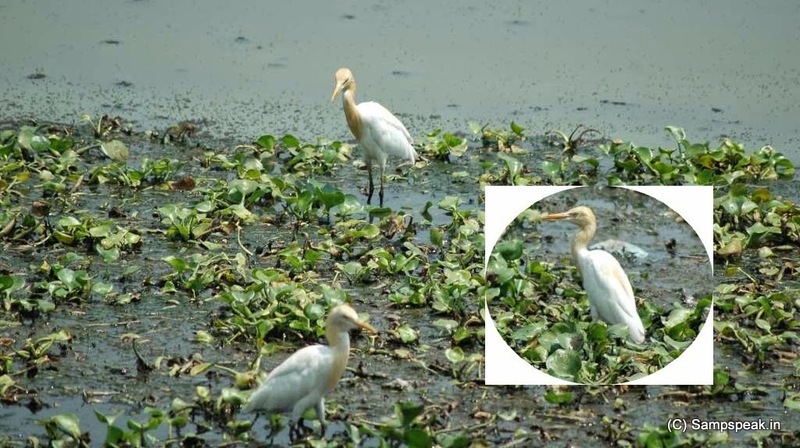 In Tamil, we call – Kokku, Narai, Vakka and more… sadly they may not be spotted for at least some time now.... the water is drying [in fact most areas are parched] .... and these birds would have flown back to their native lands far across. Though there may not be any ceremonial send-off, 10th & 11th of May is considered ‘International Migratory Bird Day’ a conservation initiative that brings awareness on conserving migratory birds and their habitats throughout the Western Hemisphere. This program is dedicated to international conservation efforts and environmental education and engages the general public to care about maintaining healthy bird populations and protecting breeding, non-breeding, and stop over habitats used by migratory birds. International Migratory Bird Day programs often are informal science education or informal science learning activities such as bird walks, art competitions, nature based festivals, and presentations. These programs take place in a variety of settings such as zoos, aquariums, protected lands, biospheres, museums, and schools. On this year's World Migratory Bird Day, the United Nations is spotlighting the role sustainable tourism can play in conserving one of the world's true natural wonders: the spectacular movements of migratory birds along their flyways. Every year, more than one billion tourists cross international borders. A thriving wildlife is a key tourism asset, and the spectacular movements of the world´s migratory birds are no exception. Properly managed, popular bird-related tourism activities such as bird watching or bird photography can serve as the foundation for a mutually beneficial relationship between people and migratory birds. Thanks to an innovative new project being led by the UN World Tourism Organization (UNWTO) and promoted through this year's Day, marked on 10 and 11 May, some of the world's estimated 50 billion migratory birds should soon be able to benefit from sustainable tourism development. 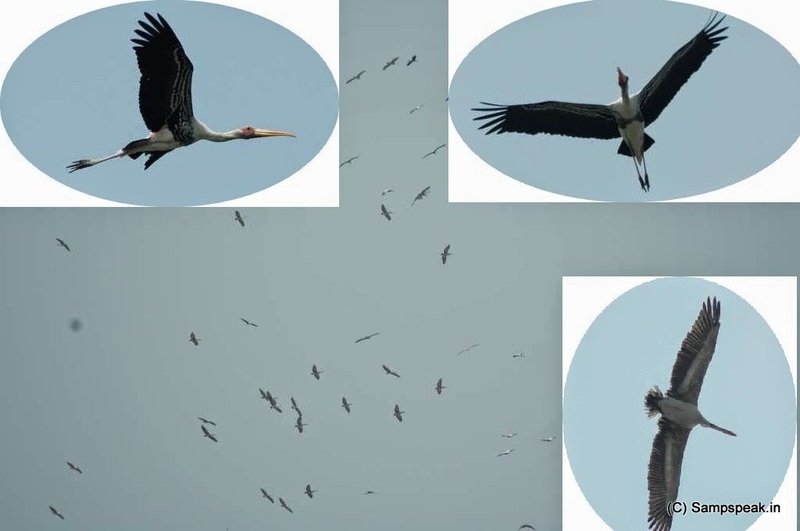 With the theme “Destination Flyways: Migratory Birds and Tourism”, World Migratory Bird Day (WMBD) 2014 will highlight the links between migratory bird conservation, local community development and wildlife watching tourism around the world. Time perhaps to showcase some of the photos of birds taken by me at Pallikaranai with my Nikon D70 with 55-300mm lens. Nikon D70 is a digital single-lens reflex camera, introduced in 2004 and perhaps is a very basic model of DSLRs now. The Nikon D70 is the first DSLR camera built by Nikon's factory in Thailand. The Nikon AF-S DX Nikkor 55-300mm is a telephoto zoom len sdesigned to complement the 18-55mm kit zoom that comes bundled with many cropped-sensor Nikon digital SLR cameras. ~ and before concluding, here is some excerpts from an article that appeared in www.time.com. Sandwich generation moms need flexible work schedules and family leave policies more than they need cards, flowers and jewelry. Last year, Mother’s Day spending on brunches, jewelry, salon appointments, flowers and greeting cards topped $20 billion, according to the National Retail Federation. And no doubt retailers hope to meet that amount this year too. Brands like American Greetings and Kay Jewelers, a Mother’s Day advertising regular, portray the holiday, and therefore motherhood, as an event for young women doted on by attentive husbands and young children. But for many, both the holiday and the reality are as much about being a mother as they are about having, and caring for, their own mothers. And mothers taking care of mothers need more than mimosas and manicures to cope with life in the sandwich generation. So while brunches and spa treatments are certainly welcome on Sunday, May 11, a more meaningful way to honour mothers is to recognize their multifaceted roles as parents, adult children and breadwinners, and to advocate for workplace solutions such as flexible schedules and family leave policies, and access to financial and career planning tools. That’s how we keep mothers at work: allow their mothers to age with dignity and raise the next generation of compassionate caregivers. And what mother wouldn’t want that on Mother’s Day?